Generally, fungal infections due to overgrowth of Candida are referred to as Candidiasis of which cover a broad range of clinical signs and symptoms encompassing superficial, local and deep-seated infections. The test can either be performed by Blood or Stool sample. The Blood or SST Sample is taken at your local Melbourne Pathology Lab and sent off for testing. The complete digestive stool analysis is performed in the privacy of your own home. You will receive a kit with instructions on how to collect the sample. The sample is analysed by a laboratory, which will assess the level of Candida antibodies present in your gastrointestinal tract. Your practitioner will assess the degree of Candida and offer a treatment plan to get you back on track. What is the difference between blood test and stool sample? Stool samples are far more accurate methods to determine if you have Candida. Stool tests provide you with the degree and level of infection. 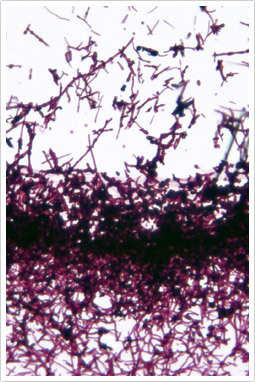 On the spot blood Candida test can often produce false negatives. That is why the blood test or SST sample that is taken is more accurate as it provides information on Antibodies. Melbourne Natural Medicine Clinic (MNMC) naturopaths prefer to use accurate and reliable methods of testing. Book in to the Melbourne Natural Medicine Clinic today and investigate whether Candida is affecting you.